Thanks, Amanda. :o)Jen – I wouldn’t say they always get along so well. But they do get along pretty well. Katie niggles at Taylor and Taylor annoys her back, but they do seem to like each other most of the time. I LOVE that picture! It was my desktop wallpaper until I got a grandbaby! Thank you for sharing Jenni. Very cute picture, Jen. 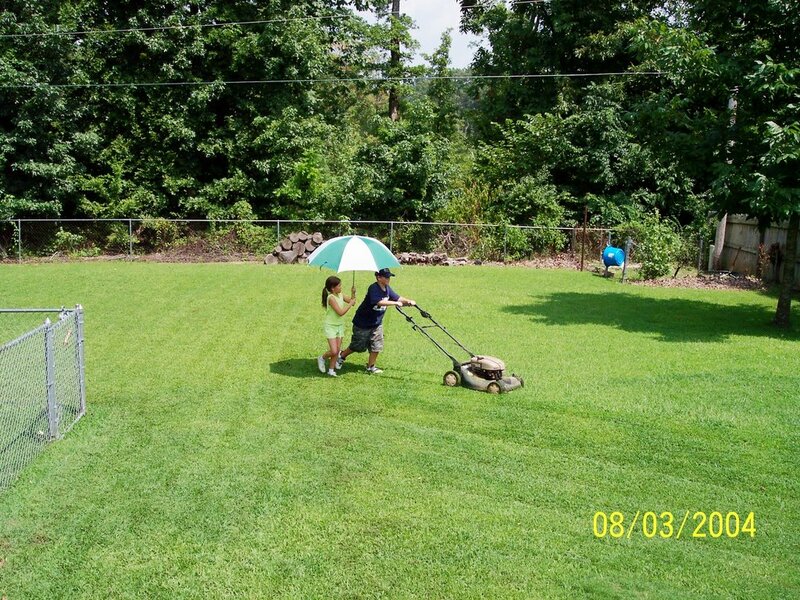 I think it’s cute that she’s trying to keep him shaded while he’s doing his chores. How much does he charge? Maybe the quesion should be how much does she charge for the work? Hi Jen!I am finally making time to post a comment. This is just an adorable picture! I hope my kids are still sweet when they get to be that age. Oh that is so cute and sweet!